This isn’t a marketing manual by any stretch, but an inside look at google from a marketers point of view – I found it fascinating. Douglas Edwards was (as you may have guessed) Google Employee Number 59 and he writes about the growth of the company from only a few marketing/PR staff and no outside agency – to the mammoth beast that it is today. 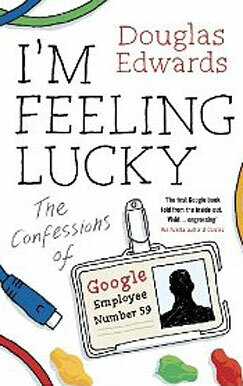 Douglas lasted five and a half years at google and he provides a fly in the wall insight into what the company was like in it’s early days. Even though the book is more of a life story than a manual – there’s still some lessons to learn! Here’s a few I picked out.